Growing up, we had two cats, although not at the same time. After our cat Pepper ran away when I was in fifth grade, we got another cat and named her Lucky. We were lucky to have her, my Dad said. Lucky used to chew paper and paw on my bedroom door at night. She was a fun, quirky cat. I cried the day my parents had to put her down about 10 years ago. While I don't have any cats now, I always love visiting my friends and family who have them. 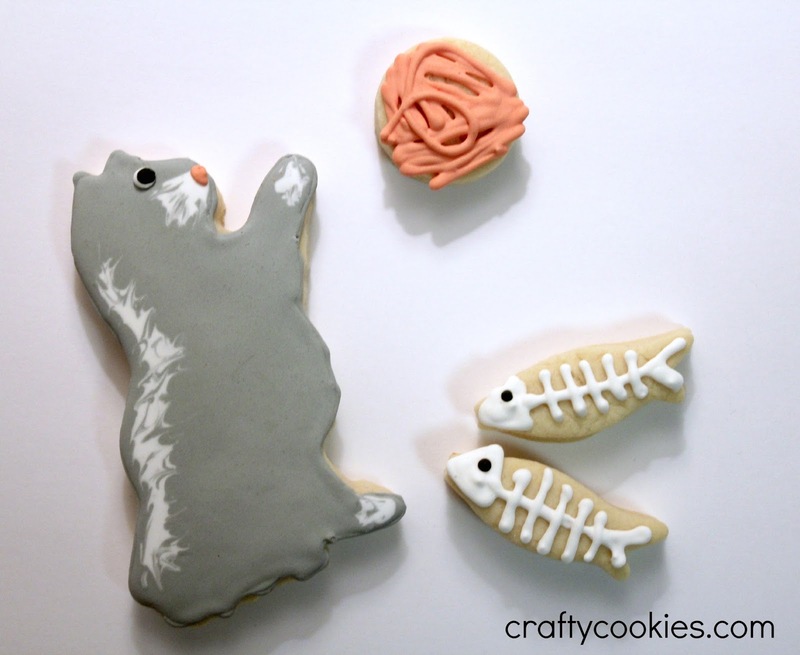 These cat cookies were sent off to my Aunt Nina and Uncle Bill, who recently adopted three cats. I imagine they have their hands full now! 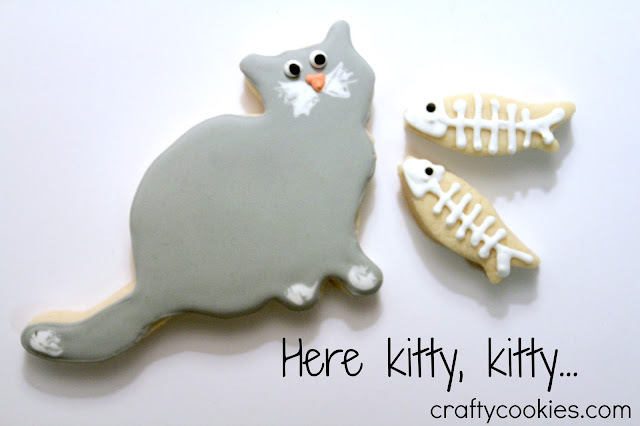 These cute cats were such fun to make. And surprisingly quite easy, too. 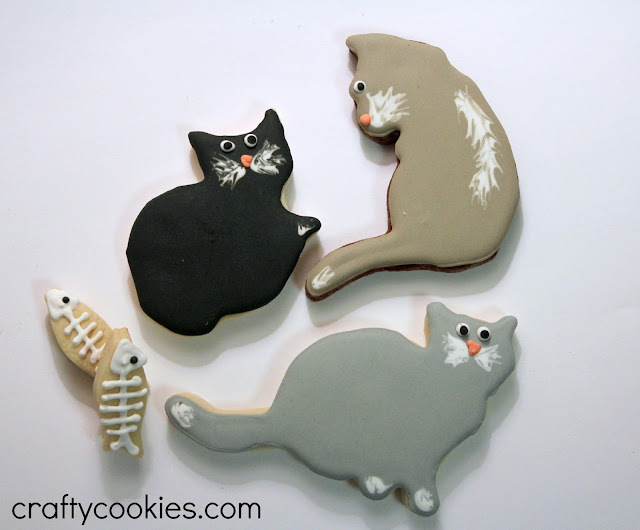 Looking at these cookies makes me want to get a cat! Don't you just love the little fish and yarn balls? 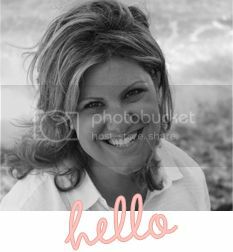 Hope you all are enjoying this last weekend of summer! 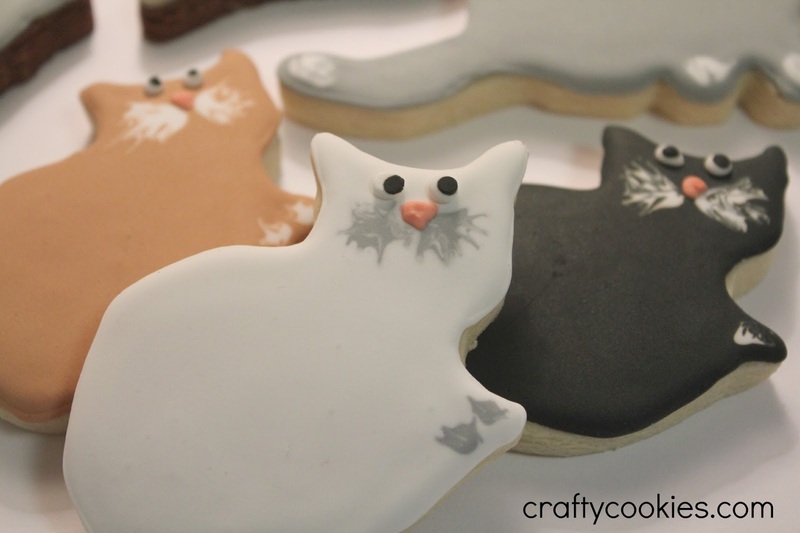 I plan to do some baking to relax before school begins again on Tuesday. Where did the summer go? !